Phew! It’s been a productive couple of months and now you can see the results!!! 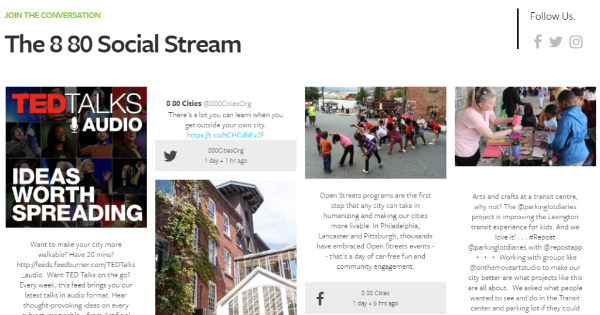 We are very happy to announce the launch of 8 80 Cities’ new website! We redesigned our site to make it more intuitive and informative, but also to tell our story and to share the projects that keep us busy and make us proud. Our goal is to inspire you to take action in your community to create better cities for all. We don’t do boring! We promise. Navigate through our Services to find out more about what we have to offer. 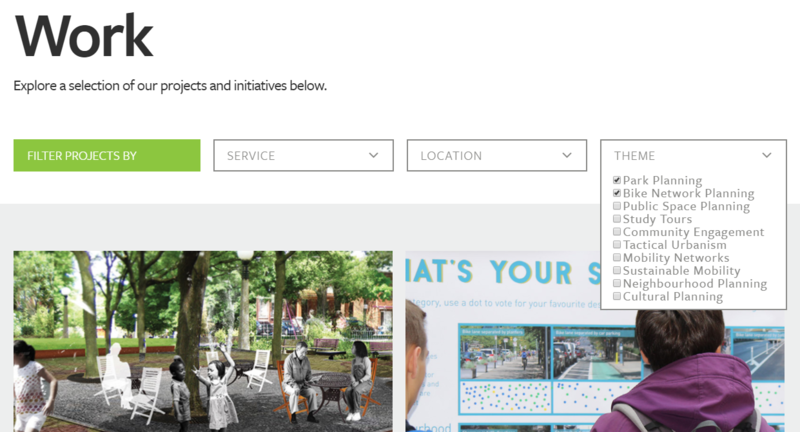 In the Work section, you can now browse through a selection of our most recent projects and filter them by service, location, and theme. You can learn more about our story and impact since we began in 2007. Stories & Insights is the hub for our most recent blog posts, news, and press releases. Stay tuned for constant updates from our world. 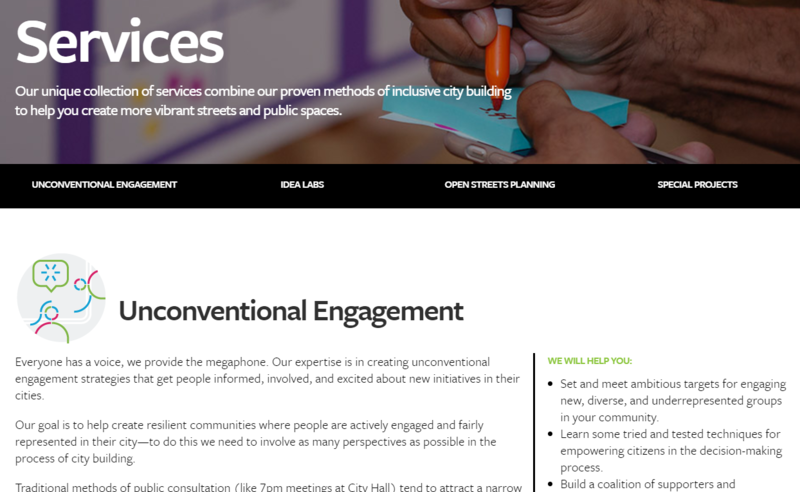 From the homepage, you can follow our Founder and Chair, Gil Penalosa, who continues to travel all over the world motivating cities to move from talking to doing. Be part of our story. Get involved. Sign up for our free monthly newsletter and get the most inspiring and relevant research, tools, and projects on creating cities for all delivered right to your inbox. We love social! Join the conversation directly from The 8 80 Social Stream on our homepage and get the latest updates about our new adventures. Stay tuned for more exciting features such as our upcoming Resource Hub with the best tools and guides from around the globe. Do you have comments or suggestions? We’d love to hear from you! Send us your feedback to [email protected].